Thomas Jefferson is more than just one a great politician and one of the Fathers of the United States, he was also a very wise man. The quote above is true on a chemical level as well. It is known by that exercise releases endorphins, which can put you in a better mood. You may have heard many a person say I need to work some frustrations off in the gym. What they are really doing is releasing endorphins into the body. Researchers are even looking into how the release of endorphin can improve the body’s insulin action. It is believed that the hormone can actually help control diabetes. Exercise also aides in the reduction of stress through the releasing of endorphins. Stress produces the hormone cortisol which is known to reduce the fat burning process and slow down your metabolism. When you feel stressed, don’t reach for that piece of cake, go for a walk, jog or run. Whatever you body, and time will allow of you at that time. I hope my little rant has inspired you or at least give you something think about. This exercise should be done slowly, focusing on the stretch and contraction of the pectoral muscles. 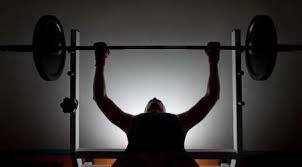 Don't pause or let the dumbbells touch at the top of the exercise. 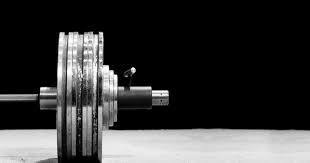 Use a full range of motion by lowering the dumbbells as far as comfortably possible. Always use a wide semi circle motion when doing this exercise, and don't allow the dumbbells to come too close to the body.